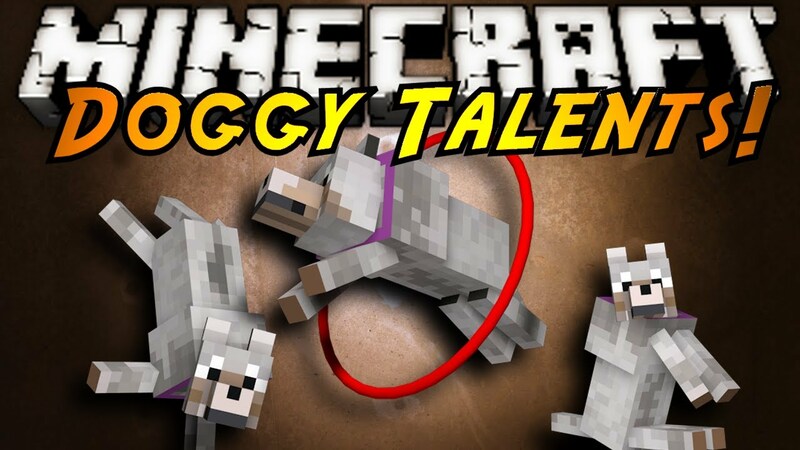 Doggy Talents Mod 1.13.2/1.12.2 adds a slew of new abilities for wolves/dogs in Minecraft. It gives you more training options for your pet and improves their abilities and traits. 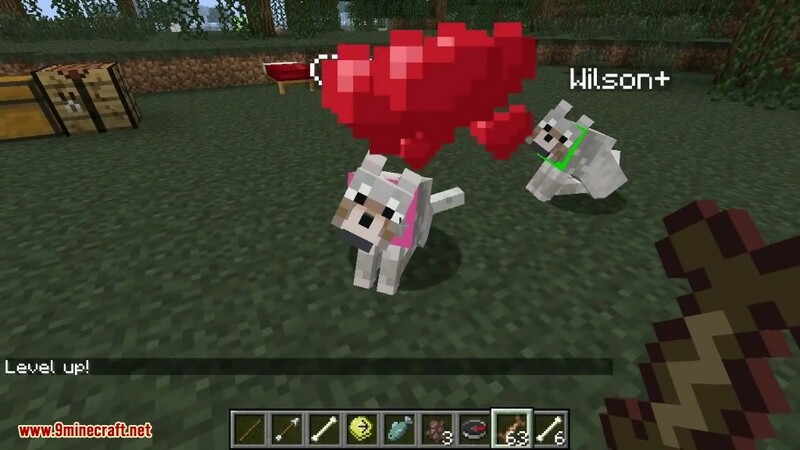 And it will even give your dog new markings when you level up. 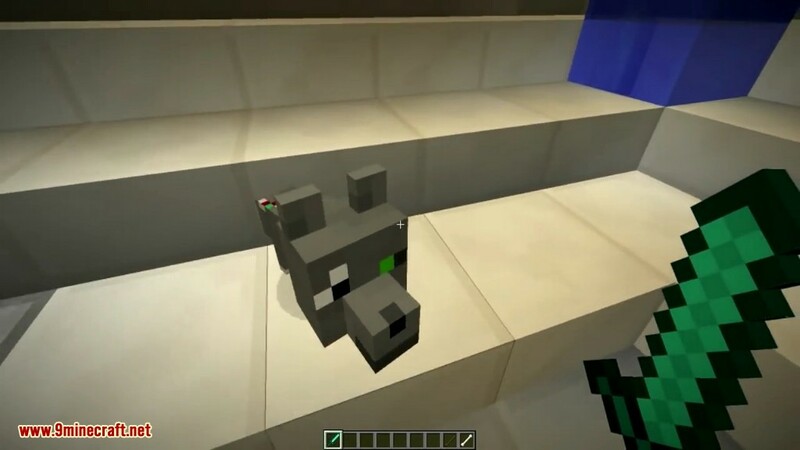 The mod adds a point system for training your wolves and increasing their stats by feeding them four different tiers of treats. 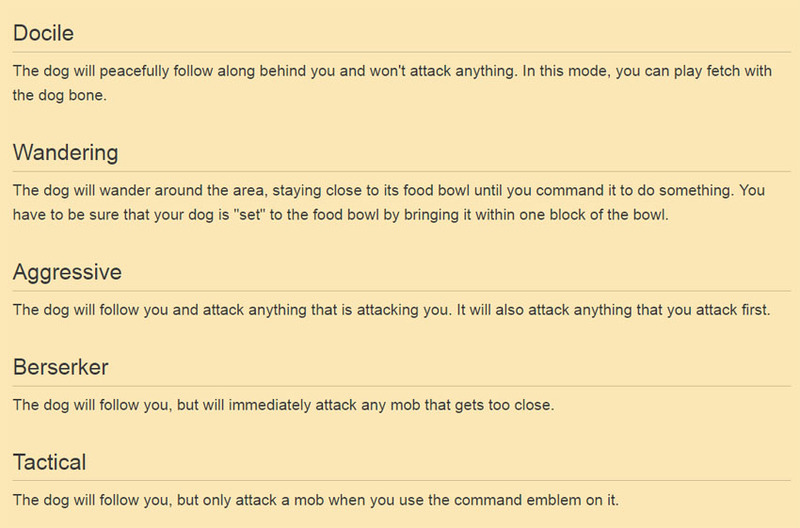 You’ll get more points the more your pet levels up and you can spend them in the interface that pops up when you right-click the wolf with a stick. And many more breeds of dogs like Pomeranians, poodles, German shepards and many more. 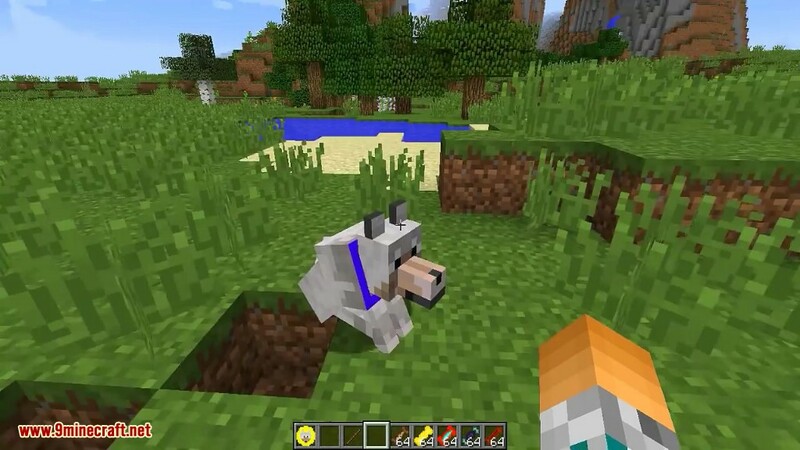 First You will need to tame a Vanilla wolf. 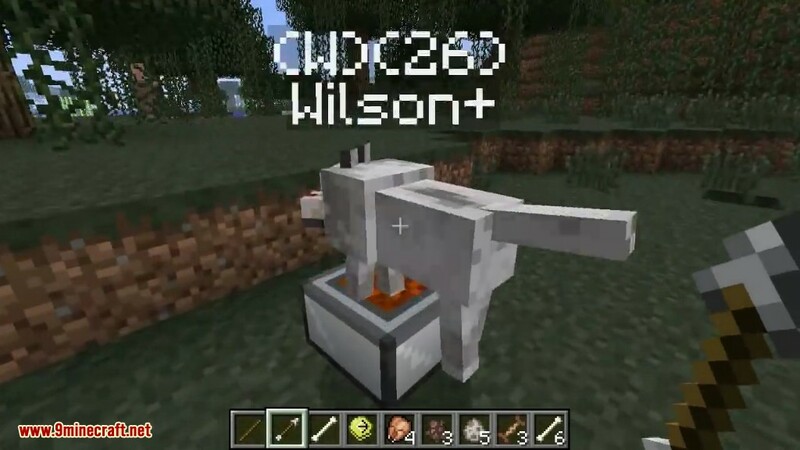 Then right click on the wolf with a training treat. And he will become a dog. 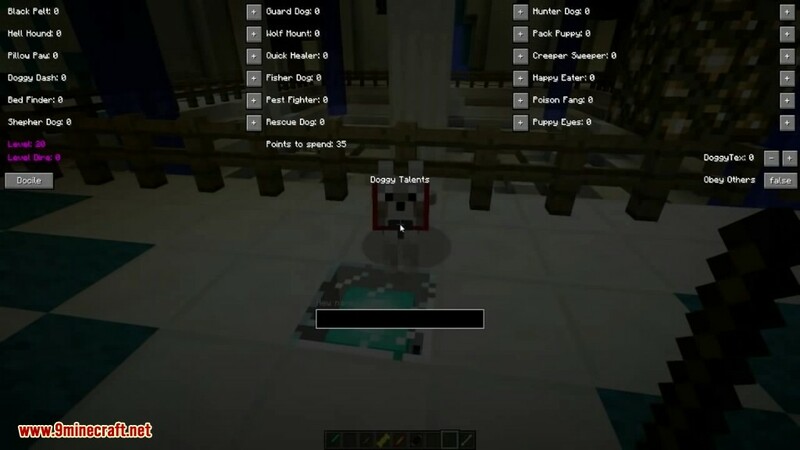 To make sure he is right click on him with s stick and it will come up with the Dogs Gui, where you can rename your dog and add talents to him. 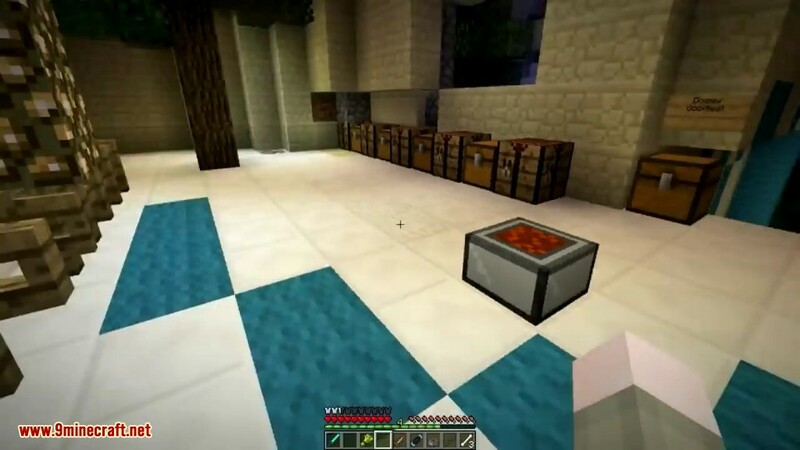 As you see now there are less talents (At the moment more coming soon) that the original mod. You can now rename him and a label will appearer on the dog. To level up your dog simple right click agian with a training treat. For every level you dog goes up you dog gets 1 point to spend on talents. 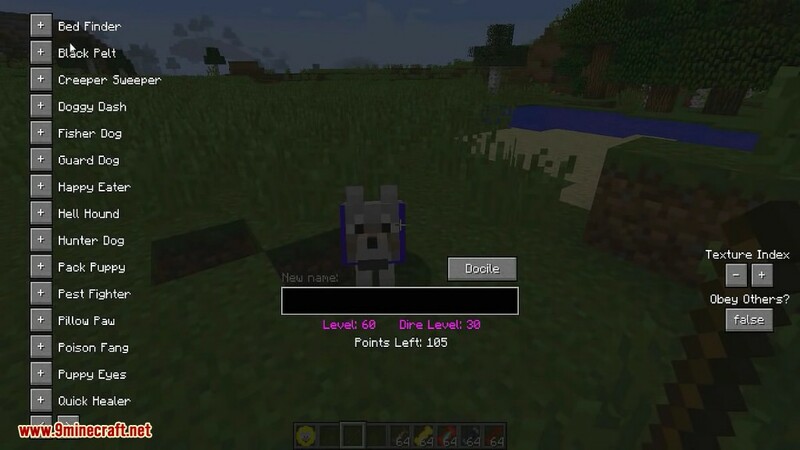 Once you dog reachs level 20 you will have to use Super treats then once it reachs level 40 you will have to use Master treats. 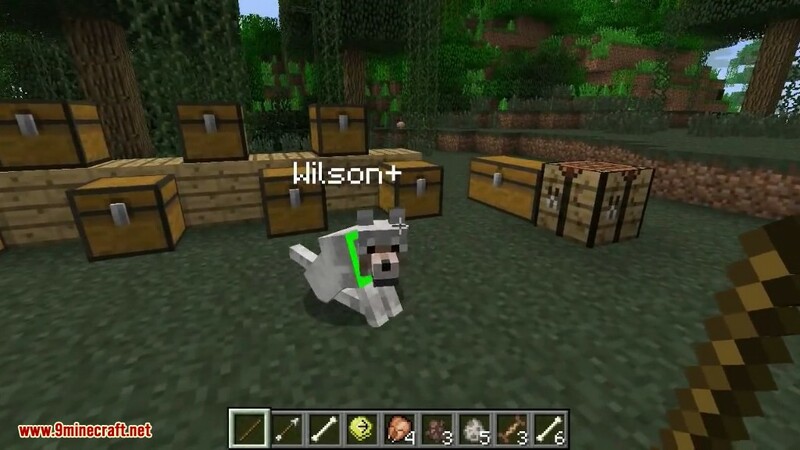 This will take you dog to level 60. After that you can use Dire treats to up his dire level. 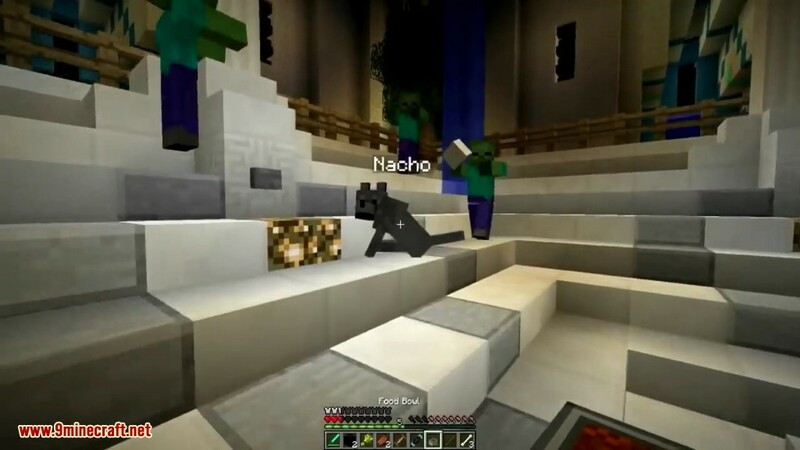 Once his dire level reachs level 30 he will get more health and attack strenght and will have ender portal particles around him. If you want to level up the talents and AI of your trained wolf, you’ll need to make some treats. These objects will assist with both the care of your dog and the immersion of the mod. Have fun! 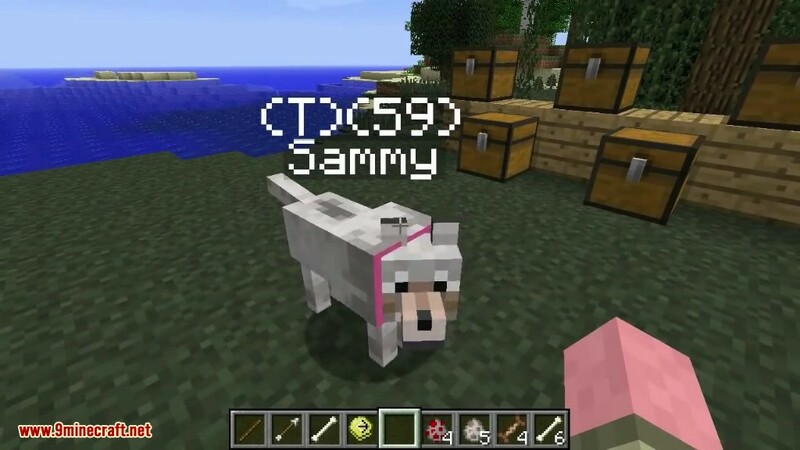 When you feed your dog treats, they will level up and gain skill points, which you can use to give your dog useful skills! You can’t master all of the skills with one dog, though, so choose carefully! Training a skill to level 1 costs 1 skill point, training a skill to level 2 costs 2 skill points, etc. Your dog’s “mode” determines its behavior. 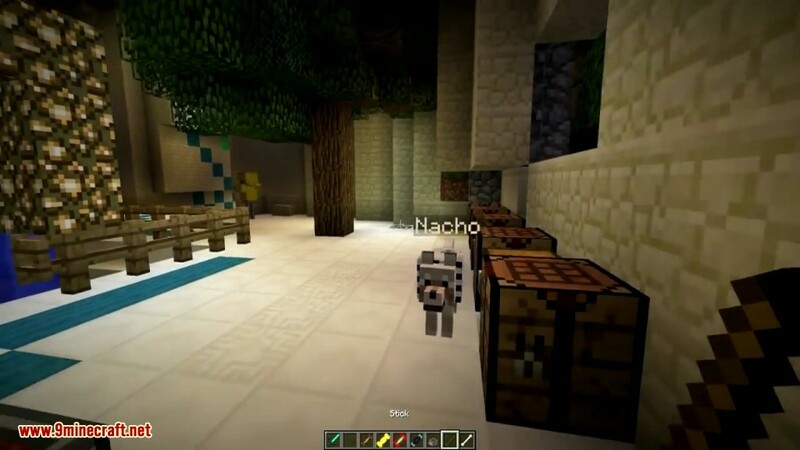 It is located above the top right corner of the dog’s name box in the training GUI.